Salt River Project (SRP) and the Better Business Bureau (BBB) are honoring nine Junior Reserve Officers’ Training Corps (JROTC) students as part of the inaugural BBB Ethical Cadet Scholarship program. Arizona high school freshmen, sophomores and juniors who are enrolled in a JROTC program within SRP’s service area — while maintaining a GPA of at least 2.75 — were eligible to apply and selected based on essay submissions. Of the 40 applications from 14 schools, nine winners from seven JROTC programs were selected. Details: For more information about eligibility, judging criteria or to apply, please visit cadet.bbbcommunity.org. 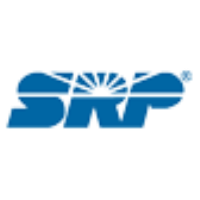 SRP is a community-based, not-for-profit public power utility and the largest provider of electricity in the greater Phoenix metropolitan area, serving more than 1 million customers. SRP is also the metropolitan area’s largest supplier of water, delivering about 800,000 acre-feet annually to municipal, urban and agricultural water users. For more information, visit srpnet.com. About Better Business Bureau Serving Pacific Southwest. For more than 100 years, Better Business Bureau (BBB) has been helping people find businesses and charities they can trust. In 2017, people turned to BBB more than 167 million times by checking more than 5.2 million Business Profiles and on 11,000 charities on Charity Reports - all available to the public for free at bbb.org. Incorporated locally in 1938, BBB Serving Pacific Southwest merged on April 1, 2018 and now covers key campuses in Phoenix, San Diego, Orange, Prescott, Yuma and Lake Havasu City. BBB PSW is supported by over 19,000 BBB Accredited Businesses, making it part of the largest BBB nationwide. Businesses that earn BBB Accreditation contractually agree and adhere to high standards of ethical business practices in the marketplace. BBB provides objective expertise and educational programs on topics affecting marketplace trust.